Is it time for new tires, or do your existing tires have more life in them? Come see us and let our staff assess the state of your tires. When you’re travelling in your car with your family, the primary link between you and the road is your tires. 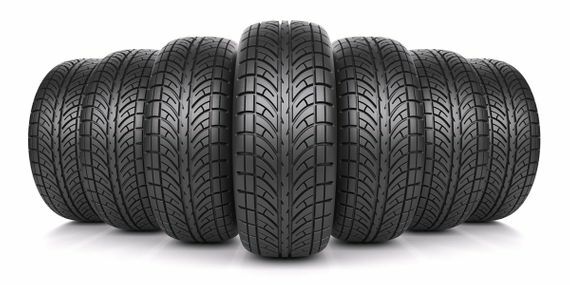 Doesn’t it make sense to purchase the highest-quality tires Surrey has to offer? Join the many drivers who choose BC Tires Auto Pro to supply, maintain and repair this most crucial component of their vehicles. We sell internationally known and trusted brands of tires in a range of types and widths to fit your needs. As your complete automotive experts, we also sell new and used tires, perform oil changes and handle any other fine tuning to keep you moving. Bring your vehicle in today—no appointment needed. Our unmatched selection combined with our helpful tools and reviews means you’ll find exactly what you need. Drivers all across the country rely on NAPA AUTOPRO facilities for both standard maintenance and major repairs. The work of the certified technicians at BC Tires Auto Pro is backed by our National NAPA AUTOPRO ‘Peace of Mind’ Warranty, which covers qualifying parts and labour for 12 months/20,000 km and is honoured at 600 NAPA AUTOPRO service centres across Canada. Whether your vehicle needs a routine checkup or major repair, BC Tires Auto Pro can help prolong the life of your car or light truck. We are pleased to offer our valued customers free brake and front end inspections, along with seasonal sales for select automotive repairs. Every month is a different special! Get better gas mileage, prolong the life of your vehicle and tires, and avoid on-the-road emergencies and expensive repairs with our preventative maintenance services. BC Tires Auto Pro specializes in fast, while-you-wait oil changes, wheel balancing, tire rotation and brake inspection. Wheel balancing, tire repair and rotation extends tire life and gas mileage. Don’t guess at what that rattle means – bring your car in for diagnostics today.